By day, Jennifer Britt is an associate director and legal editor for an accounting firm. By night, she’s a contemporary romance author who loves to write happy endings. 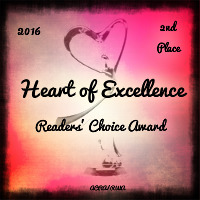 Jennifer Britt is the author of the popular Lincoln Falls series and her books have been nominated for industry awards, including the Carolyn Readers Choice Award and the Heart of Excellence Readers’ Choice Award. When she’s not writing, Jennifer loves spending time with her husband and family at their home in Virginia. If you want to keep up with Jennifer’s latest news and releases, sign up for her newsletter.